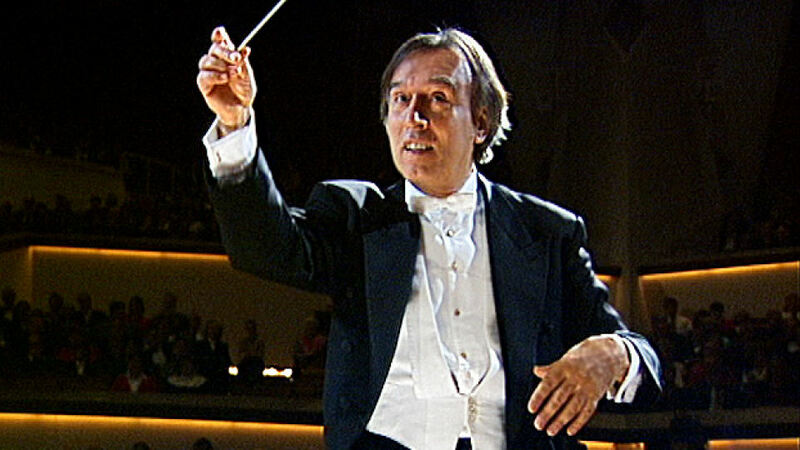 The Berliner Philharmoniker and Claudio Abbado bid farewell to 1996 in the Philharmonie with a programme full of verve and flavour. The theme was the world of gypsies and of dance as portrayed in the works of Brahms and Ravel. The evening’s soloist was Maxim Vengerov – who the All Music Guidedescribed as an “astoundingly fine violinist with limitless technique, endless tone, and bottomless soul”. Johannes Brahms loved the music of the gypsies ever since the days of his youth, when many gypsy bands used to play on the streets of his home town, Hamburg. This passion was reflected in Brahms’ rousing Hungarian Dances and also in his Zigeunerlieder (gypsy songs) which – particularly in this lively performance by the Swedish Radio Choir – come across like mini musical dramas. Two works by Ravel provide music of a darker hue in this concert: the Tzigane for violin and orchestra, where virtuosity and melancholy are unusually combined, and La Valse, which looks in the musical direction of Hungary’s close neighbour, Austria. In this tone poem, a Strauss-influenced waltz swirls intoxicatingly ever faster until it becomes a “deadly maelstrom” (Ravel). 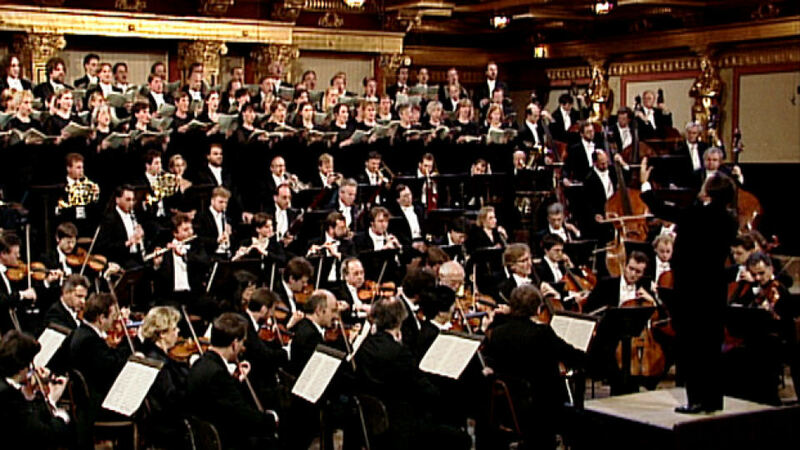 This concert from Vienna with Brahms’ Deutsches Requiem – performed on the 100th anniversary of the composer’s death – is among the most memorable performances by the Berliner Philharmoniker under the baton of Claudio Abbado. The audience in the Golden Hall of the Musikverein apparently thought the same, and there was a long appreciative pause before the applause broke out. The deep impression this performance made may be the result of a certain harmony between the intentions of the composer and the performance by the musicians. Brahms wanted to create a requiem “for the people” – that is, one which provides comfort rather than adheres to religious ceremony, thus a requiem in German rather than in liturgically correct, if incomprehensible Latin. A similar concern characterizes this interpretation, which with all its perfection and tonal beauty, radiates a feeling of humanity and empathy. For Claudio Abbado, this performance of the Brahms Requiem in this venue may also have had a biographical element. During his time as a student in Vienna, he attempted to sit in on the rehearsals in the Musikverein. As this was not permitted, he became a member of the choir and had the opportunity to experience the great conductors at close hand including – as a choir member for the Deutsches Requiem – Herbert von Karajan. In this concert, we encounter works that impress with their powerful choral singing, while fascinating due to their unusual form: Beethoven’s Choral Fantasy, followed by Mendelssohn’s Second Symphony, known as the Lobgesang (Hymn of Praise). 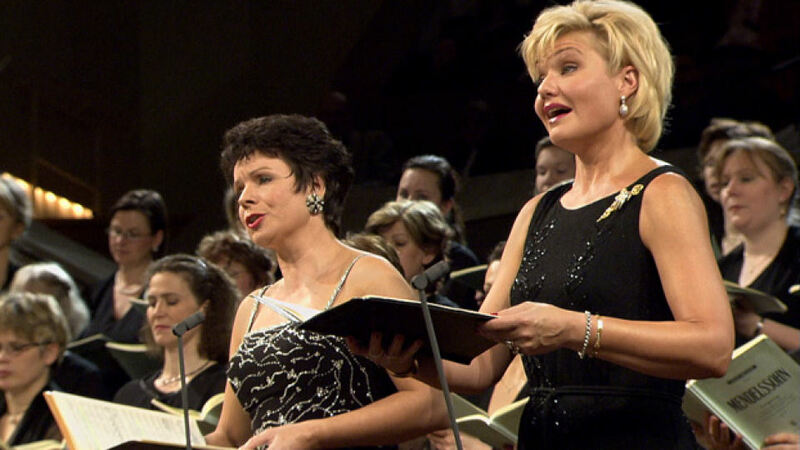 For this performance of these widely known but not often performed works, conductor Claudio Abbado had the services of first-rate soloists at his disposal: the pianist Maurizio Pollini and the singers Karita Mattila, Lioba Braun and Peter Seiffert. Beethoven’s Choral Fantasy is unique in its combination of human voice, piano and orchestra. The extended piano introduction is probably an impression of Beethoven’s own improvisation style with which he charmed Viennese high society as a young man. The singers make their appearance only at the end of the piece. The choral finale may seem a little reminiscent of Beethoven’s Ninth Symphony, but without achieving or even aspiring to achieve its resoluteness. This is not about the utopia of a better world but a hymn to music and song. It is also almost impossible to listen to Mendelssohn’s Second Symphony without thinking about Beethoven’s final symphony. At that time it was fundamentally regarded as sacrilege to copy Beethoven’s merging of voice and orchestra in a symphony, and Mendelssohn was the first composer who dared to include a vocal conclusion following the Ninth. It begins with a four-part instrumental movement that is almost a symphony in miniature. The cantata which follows, with its interchange of the dramatic and of celestial beauty, vividly conveys the Romantic era’s view of God: the mighty ruler who is also a comfort to mankind. A night no one would ever forget was the night Heart performed on VH1’s “Decades Rock Live” back in 2006. It was an evening that brought together various stars around the two brightest shining stars of Heart. This show has been living on in the memory of music fans ever since and will now finally see its release on LP/CD/DVD/Blu-ray. “Live In Atlantic City” pays tribute to and celebrates the band’s legacy with the help of an incredible range of artists and friends, to keep this magical night of celebrating music and friendship alive for all eternity. 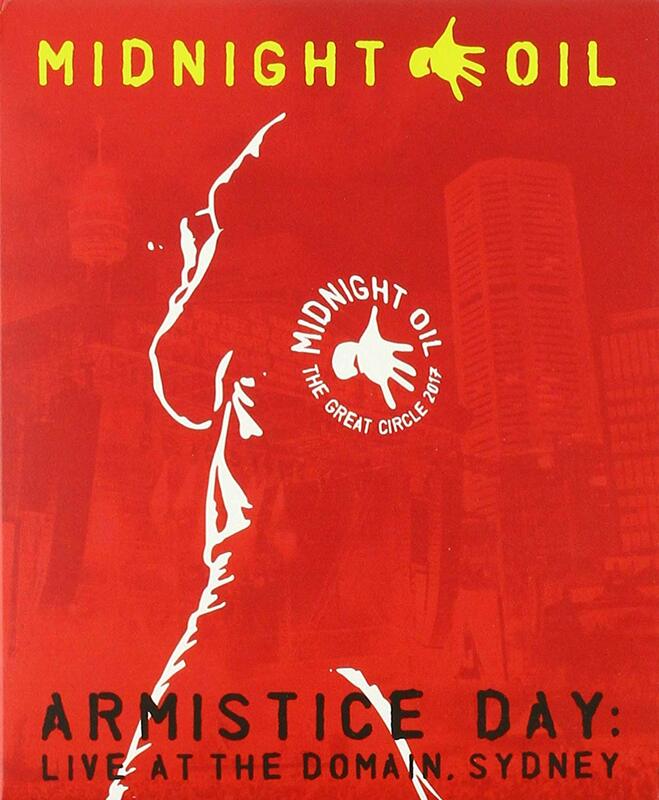 And what a night it was! The guest list of performers formed a Rock & Roll Hall of Fame for itself, including country music star Carrie Underwood, Jane’s Addiction founding member and former Red Hot Chili Peppers guitarist Dave Navarro, country singer-songwriter Gretchen Wilson and Canadian-American singer-songwriter and composer Rufus Wainwright. An exceptional highlight of the show furthermore entails the return of renowned grunge rockers Alice In Chains with Duff McKagan joining his friends on stage! Each guest artist had the chance to perform up to three songs together with the band. 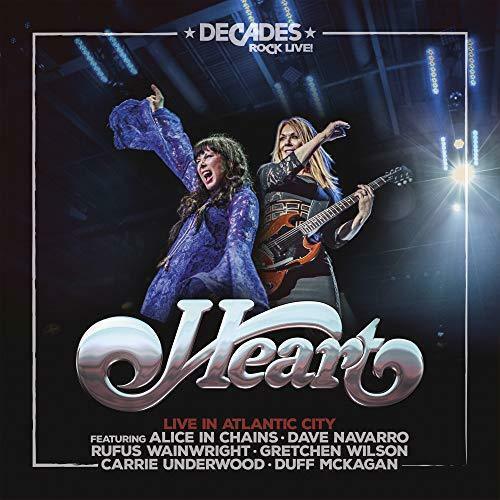 The track list includes gems like Heart’s “Crazy On You”, performed together with Dave Navarro and Alice In Chain’s “Rooster“. A joined performance featuring all of the guest artists of “Barracuda” rounded up this monumental show, which will now finally be released on audio as well as visual formats for the world to enjoy. “Live In Atlantic City” is going to be released as CD+Blu-ray Digipak, 2LP Gatefold+download, DVD, Blu-ray and Digital on January 25th, 2019 on earMUSIC. 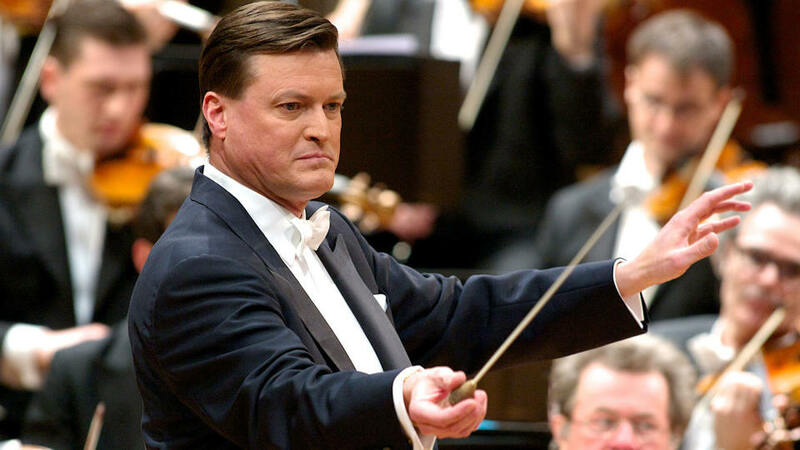 Whether he is performing Wagner in Bayreuth or Bruckner with the world’s major orchestras, Christian Thielemann’s interpretations of late German Romanticism always receive high praise from the critics. 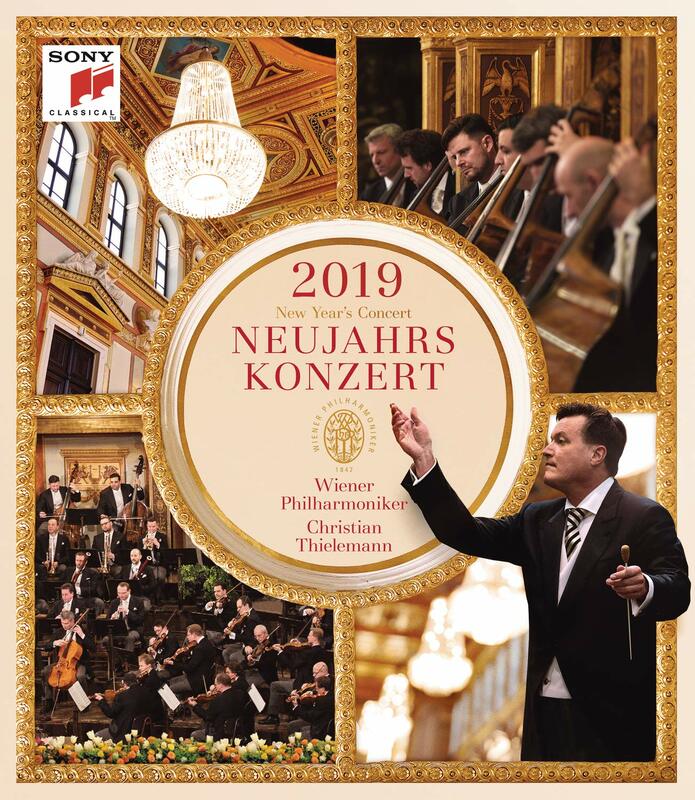 All the more interesting then is this concert which sheds light on this same period from a Russian perspective: Piotr Ilyich Tchaikovsky’s stirring Sixth Symphony, the Pathétique. Tchaikovsky himself declared the symphony to be the “keystone of his whole creative works”; while composing it, he was repeatedly reduced to tears. The idea of the Pathétique as Tchaikovsky’s highly emotional legacy is still given credence by the fact that he died nine days after the premiere. Contemporaries report, however, that the composer worked on the piece no differently than on any other, and turned immediately after its completion to other projects. And in fact, it probably needs a minimum of serenity in order to create such a soulful, but also ingeniously constructed work in which there is, for example, a waltz in the complicated 5/4 time. The way in which music developed after Tchaikovsky’s death can be seen in Claude Debussy’s Nocturnes, which were completed shortly afterwards. Although they have the subtitle “symphonic triptych”, they leave the traditional symphony far behind, and in their shimmering Impressionistic pictures, they point more in the direction of the new genre of the tone poem. With his intensive tonal colours, Debussy inspired countless subsequent French composers, including Olivier Messiaen. His song cycle Poèmes pour Mi, dedicated to Messiaen’s first wife, is a brilliant profession of faith and of the sacrament of marriage – and as such stands in striking contrast to the resignation and rebelliousness of the Pathétique. 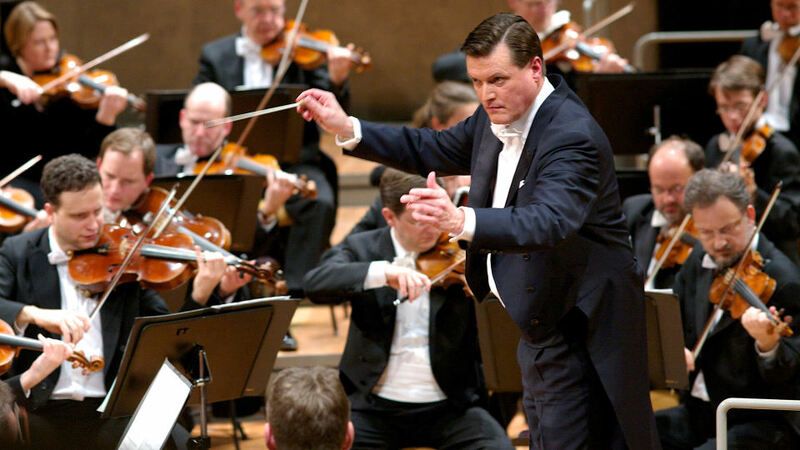 For these concerts with the Berliner Philharmoniker, Christian Thielemann programmed three orchestral works that refer to literary or mythological figures in completely different ways. There’s Hans Werner Henze’s orchestral piece Sebastian im Traum, premiered in 2005, based on a poem by Georg Trakl. As the composer himself notes, his music tries to “follow the traces of the poet’s words (as someone with a movie camera tries to capture the course of events or as another perhaps takes down the communication of subject matter in shorthand)”. The piece, to which Henze gave the subtitle Salzburg Night Music, is full of allusions “to the rustic Baroque, to the biblical, to the wooden crucifix, to the nearness of death, to the moonlight, to Traklish evening sonatas”. The temporal counterpart to Fauré’s consolatory Requiem is provided in these Berliner Philharmoniker concerts by Ernest Chausson’s Poème de l’amour et de la mer. Chausson, who was instructed in composition by Jules Massenet and César Franck, set poems by his friend Maurice Bouchor to music in this two-part composition, in terms of form somewhere between song cycle and cantata, and connected with an orchestral interlude. Composed between 1882 and 1890, thePoème de l’amour et de la mer was written at a time in which Chausson, after first visits to the Bayreuth Festival, was strongly inspired by Richard Wagner’s music. 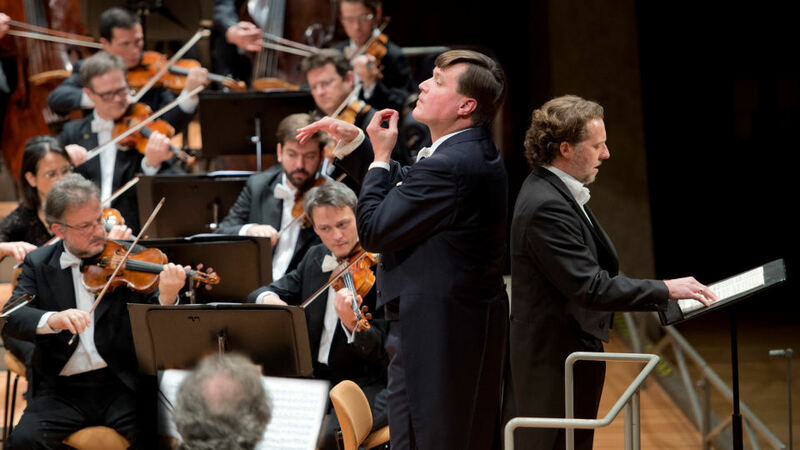 The subtle Wagnerisms contained in Chausson’s musical language, iridescent in every conceivable orchestral colour, are clearly heard in Christian Thielemann’s interpretation. Claude Debussy’s Danse sacrée et danse profane for harp and strings creates a thematic bridge between Fauré’s Requiem and Chaussons Poème.